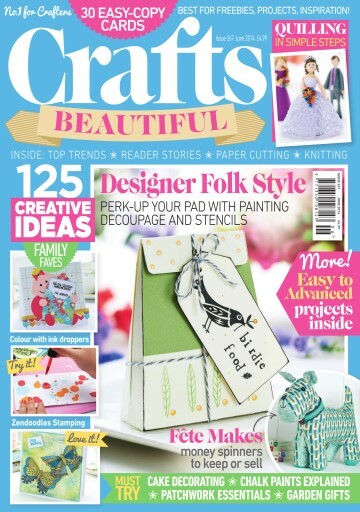 125 creative ideas; over £1000 of craft goodies including two Sizzix Big Shot kits; expert advice; our fave new finds; exclusive card designs; top summer makes! 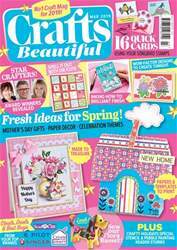 This issue's packed with bright, fun projects to suit all skill levels and will certainly get your creative juices flowing. 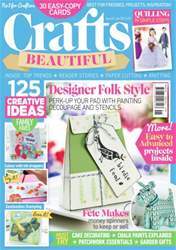 We have a beautiful quilled bride, learn how to colour with ink droppers and use shrink plastic to create quirky ice cream jewellery. 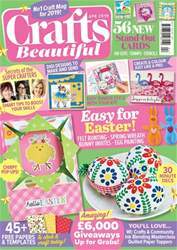 Our make and sell feature has had a makeover with the help of a cute plush puppy, plus we chat to five crafters on how crafting changed their lives. 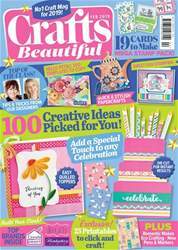 If you're in the mood for baking, Fiona Cairns shows her painted floral cake, Corinne shows us how to crochet a zigzag blanket and catch up with Leonie Pujol behind the camera. Happy crafting!